M.A.S.S. base unit is a steel barrier consisting of hot dip galvanized elements powder coated in highly visible safety colours. Individual base units are 150 cm long x 50 cm wide x 42 cm high and weigh 48 kg. Each unit links together via vertical pins. The various M.A.S.S. top sections can be added as specific jobs demand. Specially adapted units enable the system to rotate through 180°. When an errant vehicle drives on to the base of the system, it helps to stabilise the barrier during impact. M.A.S.S. 1 has been fully tested to T2 W5 providing protection to work force, vehicle drivers as well as pedestrians. BarrierGuard 800® is a lightweight, energy absorbing, longitudinal steel barrier for temporary or permanent installation. Positive protection allows workers to focus on their jobs instead of worrying about their safety. This barrier meets the highest safety standards, is the lowest deflecting steel barrier available and is rapidly deployable. On average a team of three will install a 1km length of barrier in one hour. 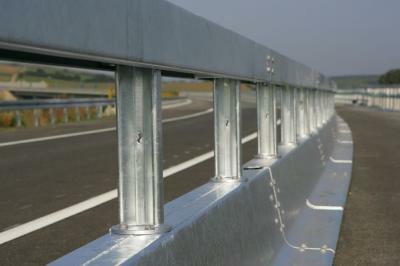 Varioguard is galvanised steel safety barrier offers unique energy absorbing features and enables rapid installation. The varioguard barrier has a unit length of 4,000 mm, a height of 900 mm, and a base width of 700 mm. A box beam on top of the unit is connected by SIGMA type posts to the unit base. These posts are bi-directional, and because the system is bolted together, they are field replaceable. The standard element has a weight of only 400 kg, and incorporates an integrated drainage section of 120 mm x 70 mm. Varioguard has been extensively tested, has a small footprint and can be rapidly deployed. 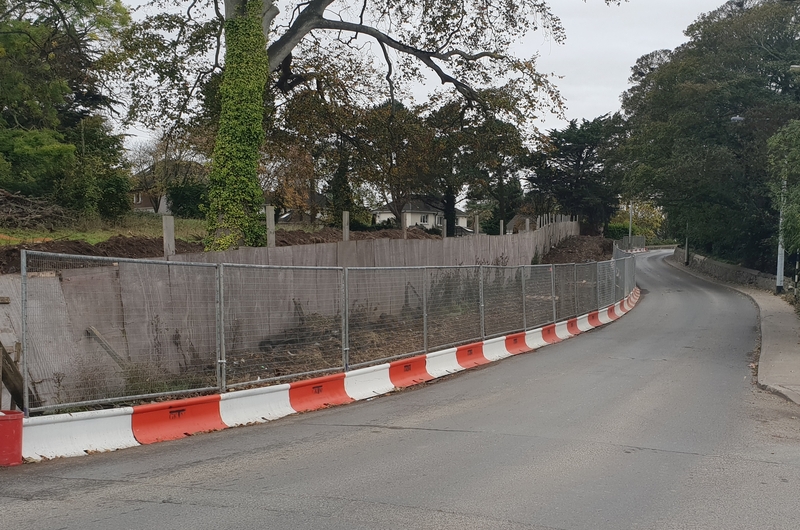 Steel barriers are a road safety system which can be used deployed to separate vehicles from roadworks, pedestrians, other vehicles and anything which could potentially cause a collision in the situation where a vehicle loses control. There are many variables to consider when selecting a barrier system. 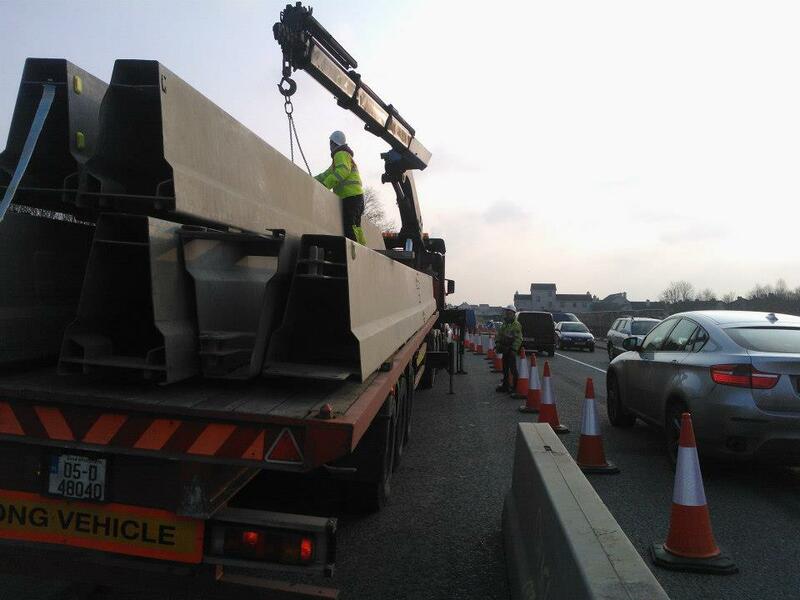 For instance, in a roadworks scenario which is continually changing, the steel barrier will need to be one that can be re-deployed easily. A full height system may be required where pedestrians and vehicles require separation. M.A.S.S Guard has an option to add a mesh panel to the base unit which acts as extra safety for pedestrians and workers and also provides site security. A median barrier prevents collisions between opposing traffic and needs to absorb impact from both sides and should be easily re-deployable.